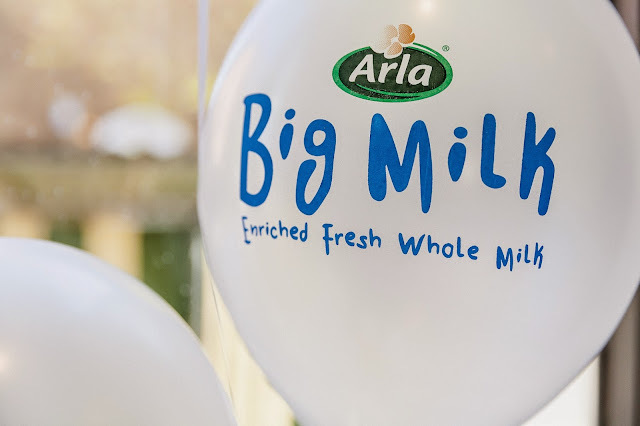 At the recent launch of this fantastic product, Arla Big Milk not only did I enjoy some yummy food and champagne I also learned a few new things. 1. There is enough vitamin C in a single kiwi fruit to fulfil your daily intake. 2. All children from age 1-5 should be (as advised by the department of health) should be having added suppliments in their diet. 3. A 5 a day portion is relative to your size. So a single portion to N is actually a lot smaller that a single portion to me. Learn something new and all that jazz! 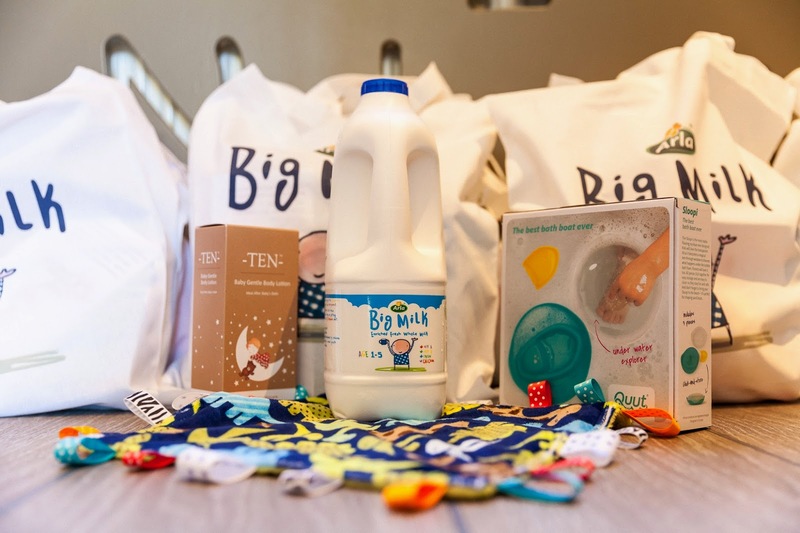 The guys over at Arla have created this milk with the help of parents to deliver all the extra nutrients and vitamins required to help our kids grow and devlop. The fresh cows milk is enriched making it easy to deliver this vitimins to our children. 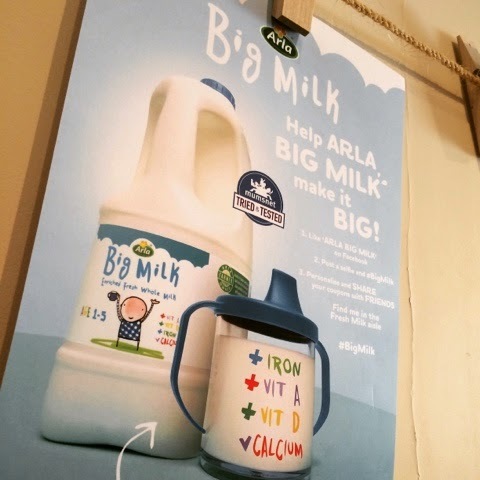 Its such an interesting concept and I have found working with Arla that the team behind it are just as passionate about the idea, making it easy for kids and parents. 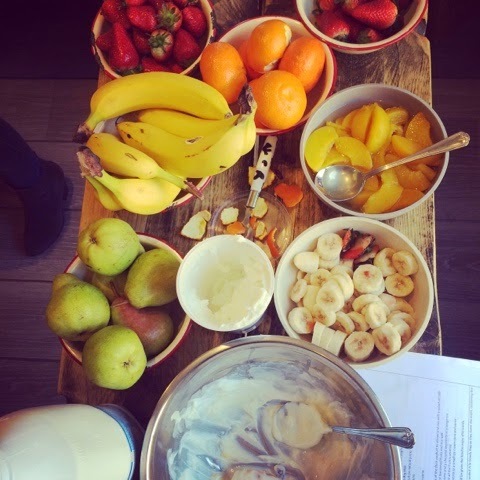 Its such a simple idea - adding the extras the children need into a system which is easy to deliver and tastes no different to normal milk. We have been using the milk at home, in cereal, in porridge and just straight in a glass or bottle for the little man. Using it to make milk shakes, or frothy hot chocolates too. Listening to the team talk was really inspiring. They have such enthusiasm for this idea and have been keen along the whole process to work with parents. The Public Health advice in the UK recommends that every child aged one to four should be taking vitamin A and D supplements every day. By having these included in the milk, it one thing that we don't have to remember - and I am trying to remember a lot!! Even if we have the vitamin drops at home, I forget them. 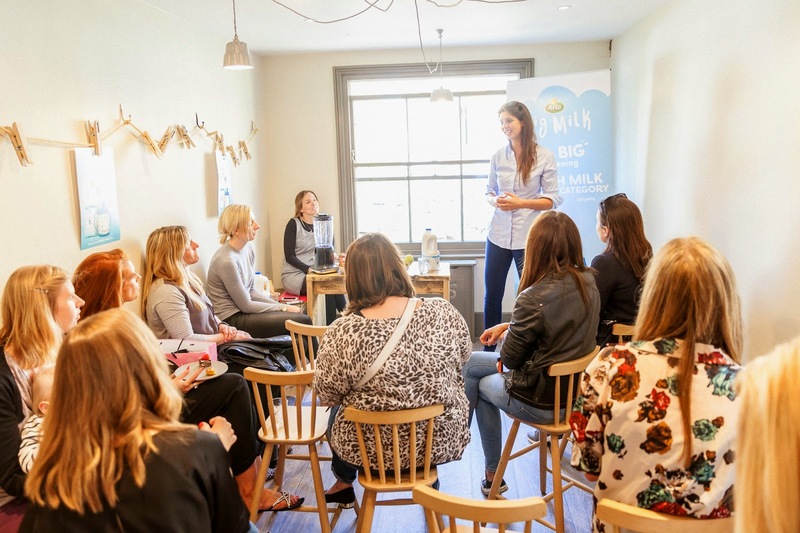 We got some awesome advice from Charlotte Stirling-Reed, an independent nutritionist on how to incorporate the milk into the meal times for the little ones. 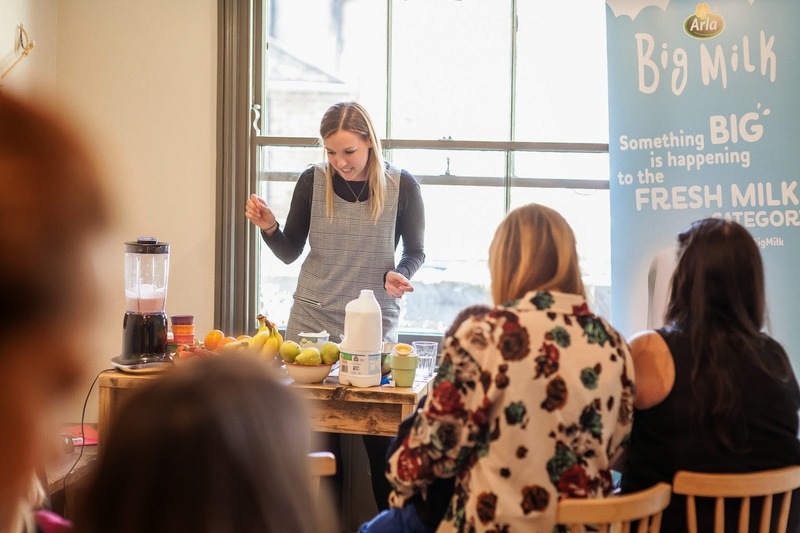 We made up some yummy smoothies packed with fresh fruit, and a frozen yoghurt dessert which the little ones at the event loved!! I was thinking on the journey home that making frozen milk lollies with squished up fresh fruit would make a yummy dessert for the little ones too. I am now on the search via pinterest of course for milk inspired ideas. The price point on the milk is higher than standard cows milk- but I do think its a fabulous idea and we will be adding it to our food shop - maybe not an every week, but it will be included as it does make me feel good knowing the boys will be getting all these added extras from a glass of milk. We go through a lot of milk so it can get pricey, but I do believe that the concept is fantastic. It was a great event, in a lovely venue and I met some lovely people - and the boys loved the goodie bag!